AKA Auto Lemon Skunk: Auto Lemon Skunk marijuana seeds was conceived by a special phenotype of Skunk #1 that displayed exceptionally tasty lemon traits and a selected ruderalis hybrid. After many generations we finally came to the result we were looking for. 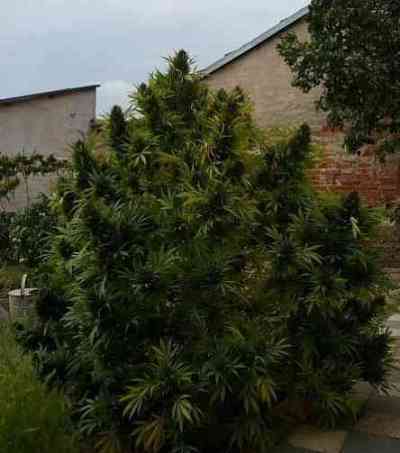 An autoflowering, lemon smelling skunk hybrid, that grows up to 140 cm and usually forms one central cola with minimal branching. This strain has a good but not extreme coating of resin, therefore it is not the strongest variety in our collection but it scores very high with it's distinctive lemon aroma. Yields from this strain can be very high but growers must be careful with the feeding regime, because this variety is sensitive to overfeeding.